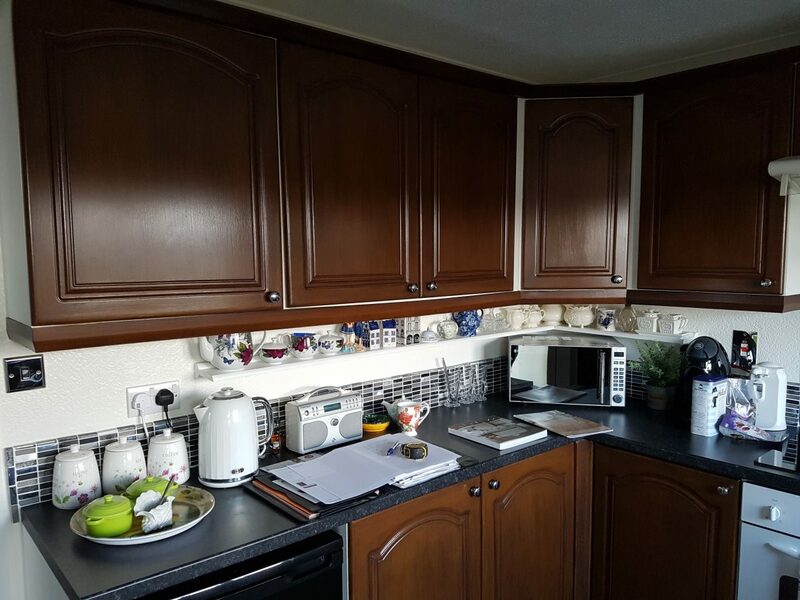 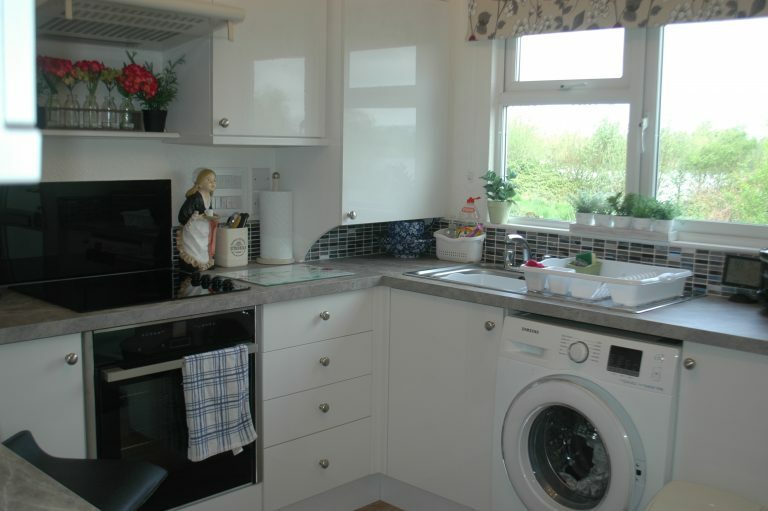 Mrs Pearce had a very dark kitchen and she wanted to brighten it to match the decor in the rest of the park home. 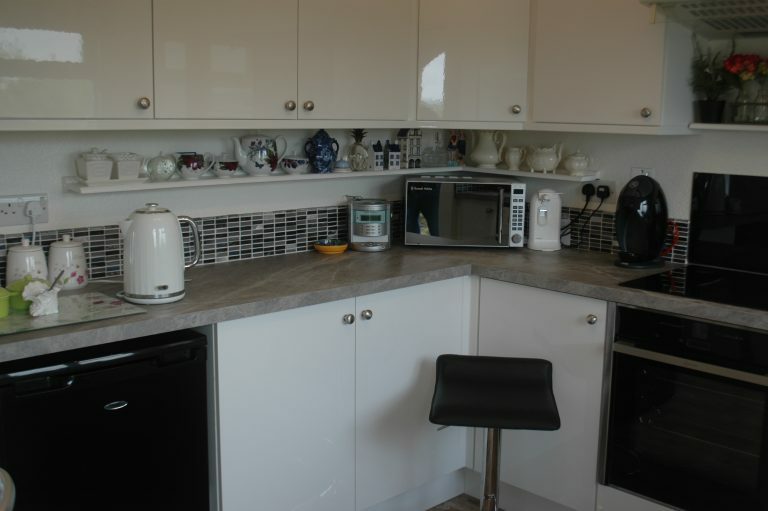 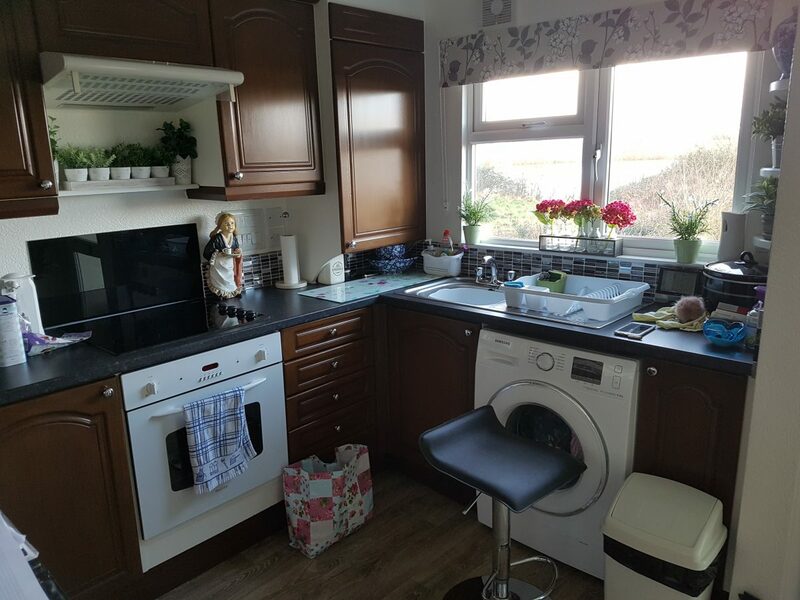 As the kitchen layout and carcass worked well already and was in very good condition she opted to keep the cost down by replacing only the doors, worktops and oven. 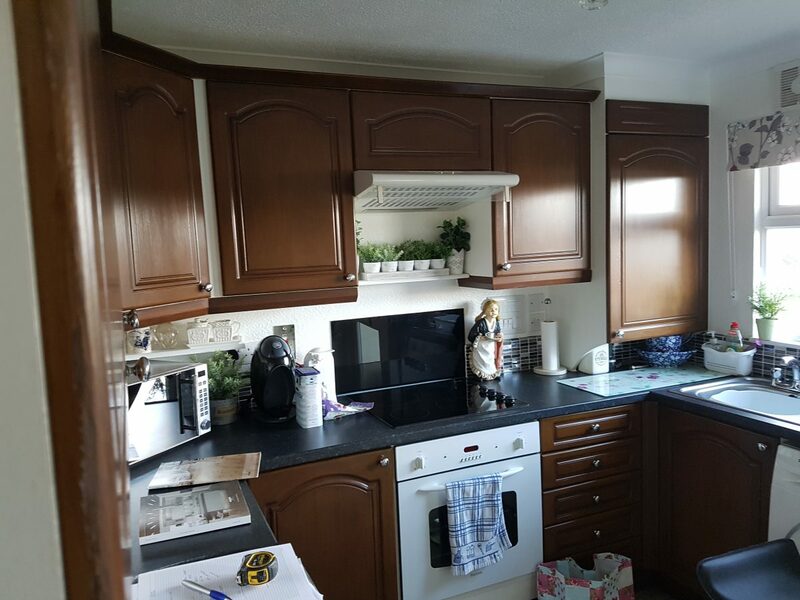 We removed the old doors replacing them with high gloss white which reflects light around the room making it feel more spacious. 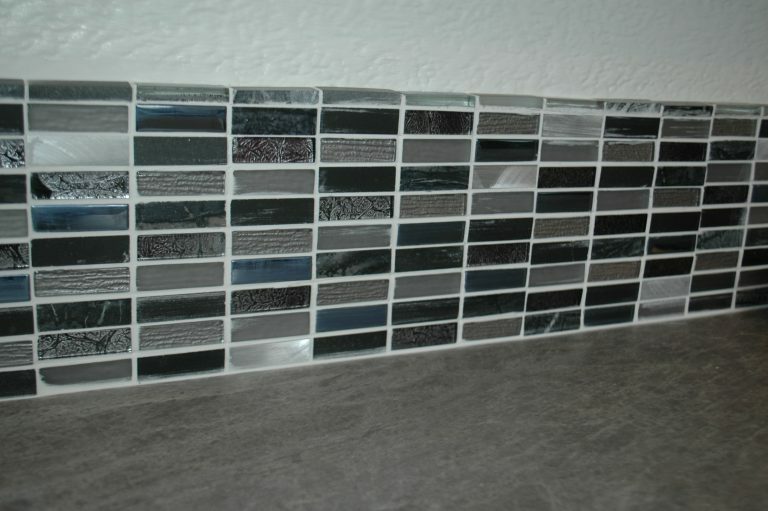 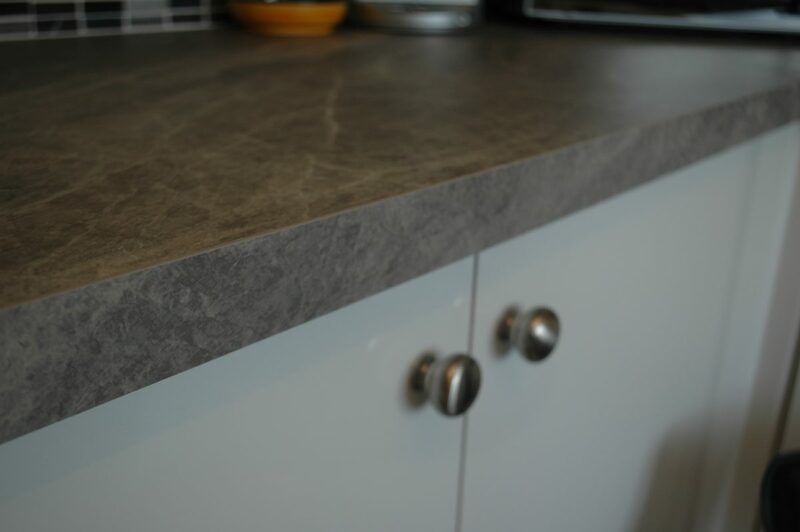 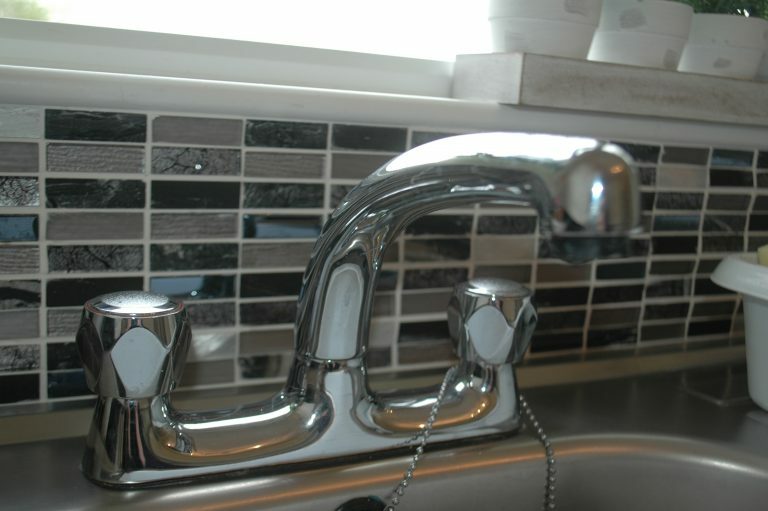 These were complimented with grey slate effect square edge laminate worktops which add a touch of luxury to the finish and match the modern tile splash back. 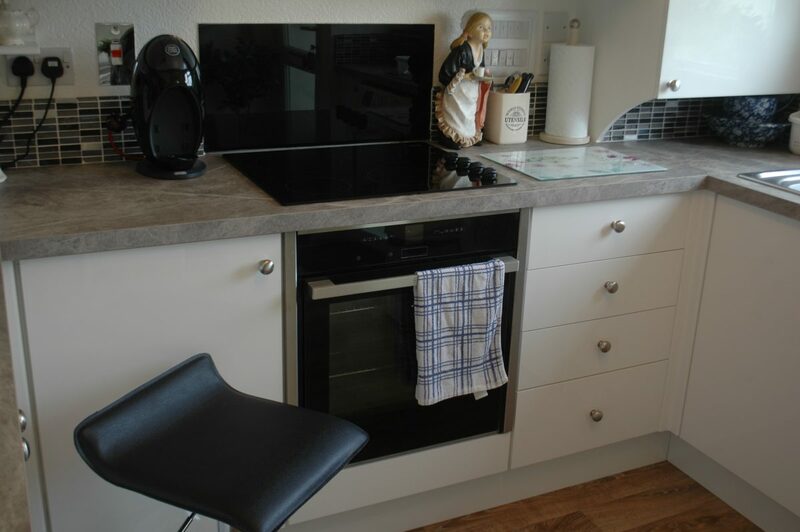 Mrs Pearce opted for a Neff oven with touch controls and a glass front for easy cleaning. This compliments the existing hob perfectly!